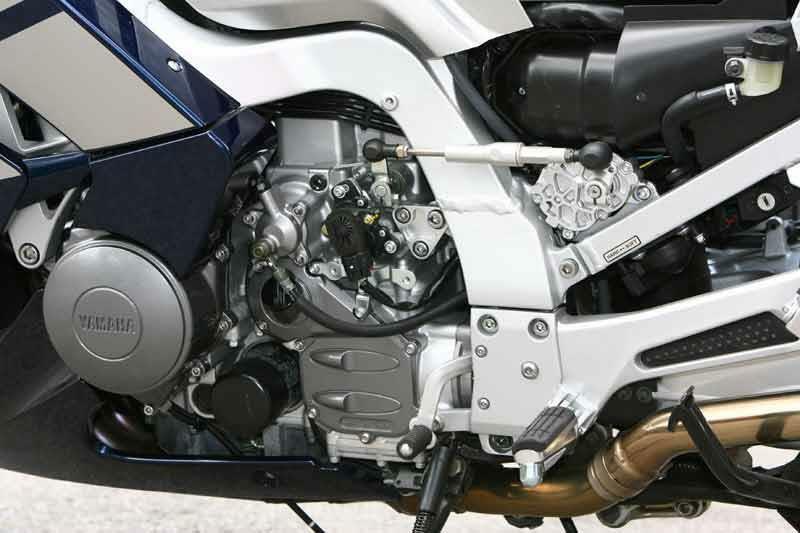 Although not as glamorous or gadget-laden a some rivals, the FJR has always impressed for its effective, no messing, durable and dependable approach. In short: it just does it. No wonder it's lived so long and is so popular with organisations like limo-taxis, the police, rescue services and more. 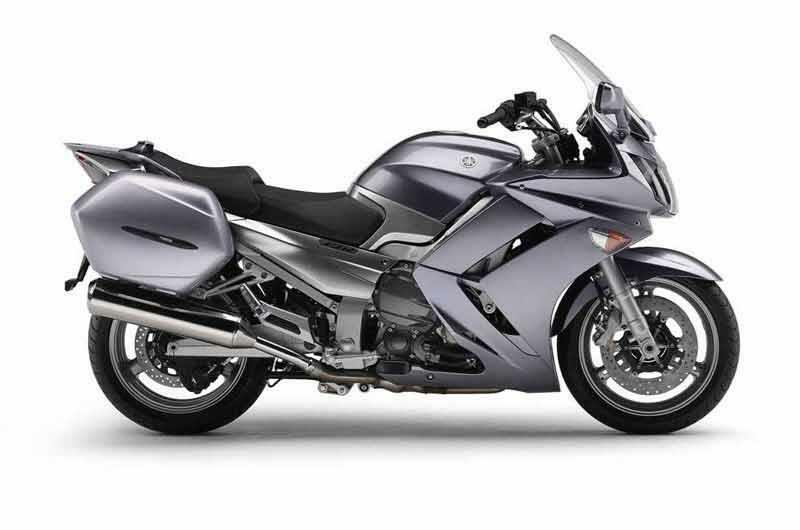 For its weight and size, the Yamaha FJR1300 handles well. You won't be dicing with Sprint ST riders on the roads of Provence, but the FJR1300's huge 48mm forks and compliant monoshock can be set up for semi-sporty riding if the mood takes you - the rear preload is adjustable via a jack up lever in a matter of seconds. Loads of pillion room too. 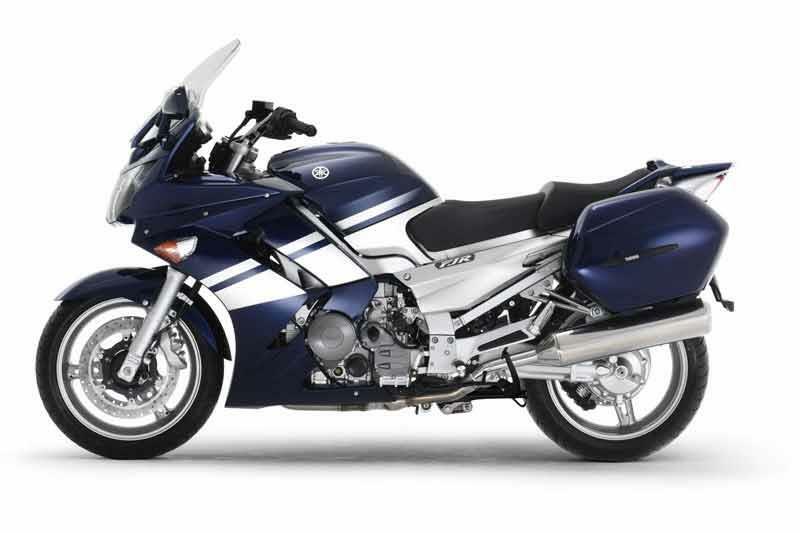 The Yamaha FJR1300's has loads of power and the four cylinder engine makes 99 ft/lbs of torque at 7K revs too. That means grunt and plenty of it, more than enough to help two people, plus loads of kit, overtake safely on A roads. 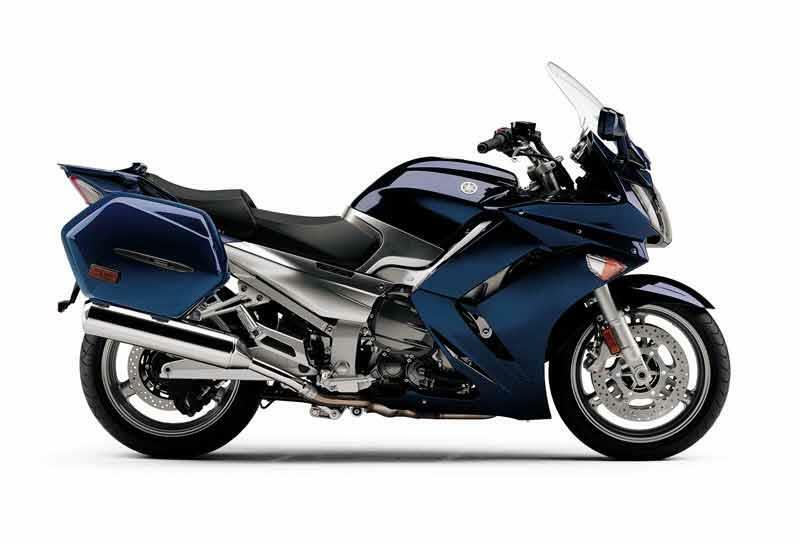 You'll probably get about 40-45mpg from the Yamaha FJR1300's smooth-running, and generally very reliable motor too. 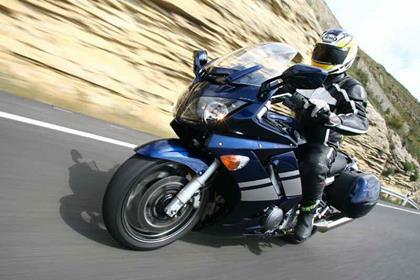 FJR1300s age well and are bulletproof, although there can be flaking on the chaft and bar clamps which may give away the bike's age. 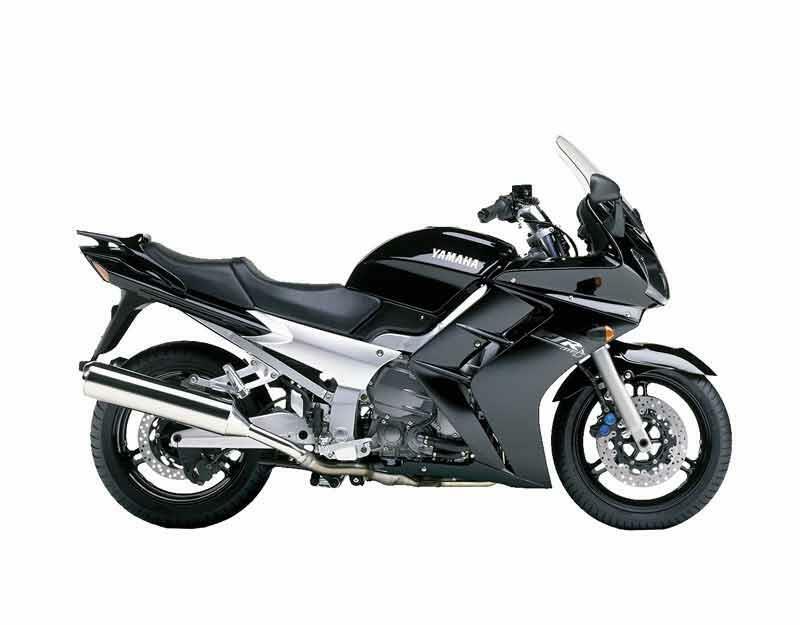 Panniers were standard fitment on the Yamaha FJR1300 from 2006 onwards, and a small luggage rack, plus ABS braking is standard too. 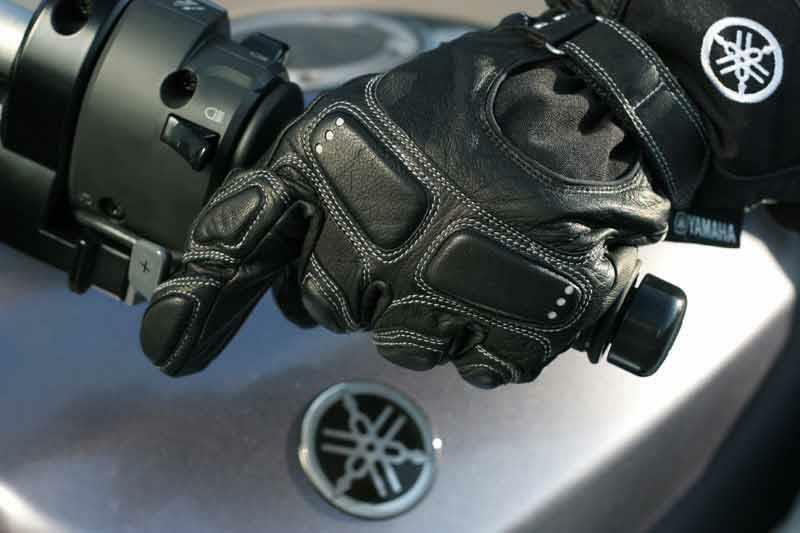 The AS auto version gets heated grips, plus it has adjustable handlebar, windscreen and seat heights as part of the 2006 makeover package. 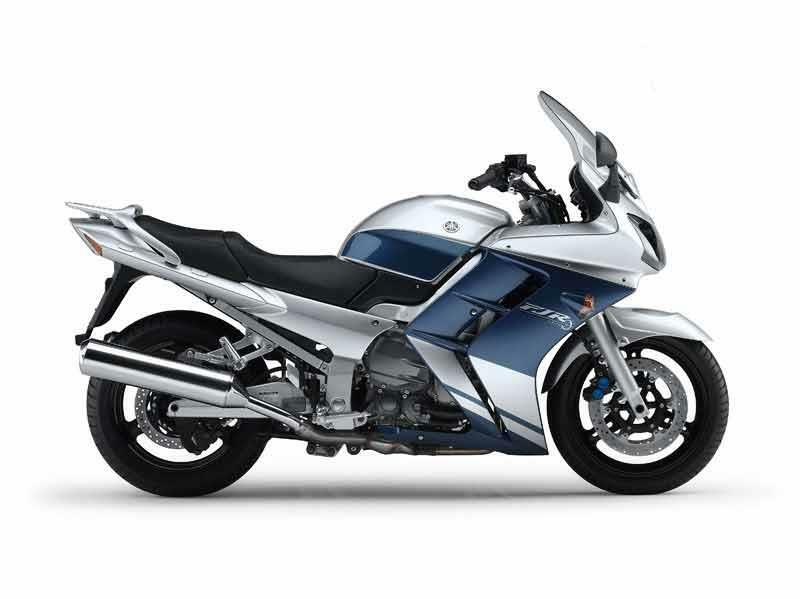 2006: Reworked Yamaha FJR1300A and AS models appear; new fairing, wider range of screen adjustment, plus adjustable seat and handlebar height. Luggage now standard, not optional extra, plus AS model has heated grips as standard fitment too. 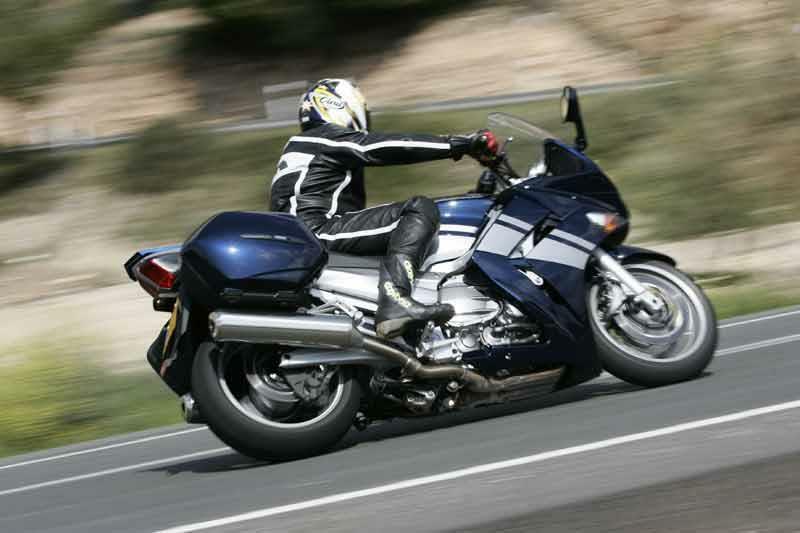 19 owners have reviewed their YAMAHA FJR1300 (2001-2012) and rated it in a number of areas. Read what they have to say and what they like and dislike about the bike below. She can still lift her skirt when she has to! The electric screen is great: down in the summer for the cooling breeze and up in the winter for protection. The riding position is commanding and comfortable and the bile feels planted and secure. She can definitely pile on the horses for a quick overtake and then resume her well mannered docile journey. Even though she is starting to show her age in terms of the fittings (or lack of) I consider the FJR to be a good looking machine with a hint of menace. Quick when required and docile too if necessary. I can normally manage about 3 to 4 hours before I need a break but that has more to do with my creaking joints than the any deficiencies on the bikes ability to soak up the miles. The brakes are good but need to be when the bike is fully loaded and 2 - up. Fantastic. Pulls like a train! The gear box can feel a little agricultural at times too. The FJR normally manages just shy of 50mpg. Reasonably well equipped but starting to show its age: no satnav: (it is meant to be a tourer) and the top box but no panniers or panniers but no top box rule is baffling and absurd. Its competitors also have cruise control and bearing in mind low spec cars have it these days it is odd an expensive bike doesn't! As above, the FJR is meant to be a mile munching tourer but the luggage set up is odd indeed. I have been biking for 19yrs and been through plenty of models. The FJR1300 I have owned for three days and out stripes anything else I have ridden. The ride is smooth, suspension perfect. The seated position is spot on. You can not get better for your money. It's under-sprung and under-damped on standard settings. It wallows and the front end feels vague and remote. Increasing preload and damping at both ends will dial out the problem enough for solo use but, for regular 2-up touring I'd replace the fork springs, go for a heavier weight fork oil and change the rear shock. This, of course, should not be necessary on a high-end bike from any manufacturer. 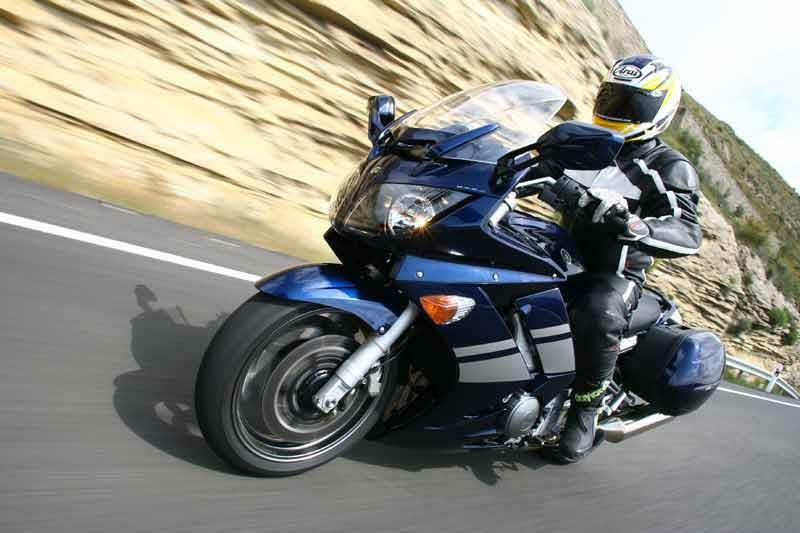 Given Yamaha's recent huge price hikes (now £14K+ RRP for a FJR1300) it's all the more unpalatable. Also, they are set to run lean out-of-the-crate, presumably to pass emissions tests. This leads to hesitation at small throttle openings and pulling away or crawling along in slow traffic needs much clutch slip and care to avoid stalling. Again, this can be dialled out by adjusting the CO settings for each cylinder via the onboard computer (06 models onwards. Dunno if you can on earlier models). How trick is that?!!!! I increased the CO on mine and it's now creamy smooth from idle to redline. I bought mine (58 plate) at 1 year old and with 3000 miles on the clock. I don't ride 2-up and I paid less than half of the RRP, so none of the suspension shortcomings really affect me. I just mention it here for the benefit of new prospective purchasers. Sort the suspension and richen the fuelling , though, any you'll be rewarded with a fantastic bike. I class myself as a fast-ish road rider and the bike takes it all in its stride. Engine is smooth, torquey and poweful. Build quality is very good and reliability seems ok, although I've only just reached 11000 miles. No issues yet, though. It's the first bike I've had where the front and rear tyres wear out together. Previously I always got 2 rears to one front. OE Metzelers (I think they were) lasted 5500 miles, Pirelli Angel ST's lasted 4500 miles and I'm currently on Bridgestone BT023's, which I love but I think they, too, will last only about 4500 miles. How people claim to get 9000 miles out of a tyre on a bike of this type I'll never know. IMHO they can't be riding it as it was intended by Mr Yamaha. Anyway, hope this epistle has been of use to someone. In summary, buy one, sort it and enjoy! Because it (and you) are worth it! I've got the facelifted '07 AS model with the fingershifter and auto clutch. This works a treat and allows you to really chill out when riding in town. A foot gear lever is also there but it's so much effort after using the mountain-bike style shifter. The only slight downside to it is that you can't blip the throttle to scare the cars as you overtake and clutch-dump wheelie drag starts are not possible, although I've read power wheelies are possible, I've not tried 'em cos there aren't many spots on the roads where you can safely let this monster rip! Creature comforts include, electric screen, speed/temp sensitive heated grips, 12v socket, ABS linked brakes, locking cubby compartment, standard side panniers with the mounts nicely integrated into the tail section. The engine is really creamy low down for effortless legal speed cruising and turns ballistic after around 5000 rpm. Unfortunately there is a bit of noticeable vibration between 4000-4500, this must be due to the engine harmonics and does disappear outside this range, but this is a minor niggle. The motor does heat up a fair bit when trundling along at low speed, but dual fans kick in when this happens. Fuel economy really depends how you ride it, I've managed mid 60's going granny style and mid 30's when on super high speed cruising. Mostly I get 45-50 mpg. The standard low rpm fuelling is ATROCIOUS however and this bike really needs to be dynojetted, this is especially the case with the auto-clutch version as you can't increase revs and modulate using the clutch at low speed. Fit a PC-III, dyno it and it's totally peachy. Handling-wise - much better than my old Bandit 600, nice low centre of gravity and although no sportsbike really easy to lean into sweeping bends. Steering lock not bad but it's pretty damn heavy to push, you really do forget how heavy it is when you're on it, as it feels quite nimble even at low speed. Braking is effortless and smooth. It's also physically smaller/lower than the other tourers e.g. honda/bmw and suits shorter bods like me: 30" leg. 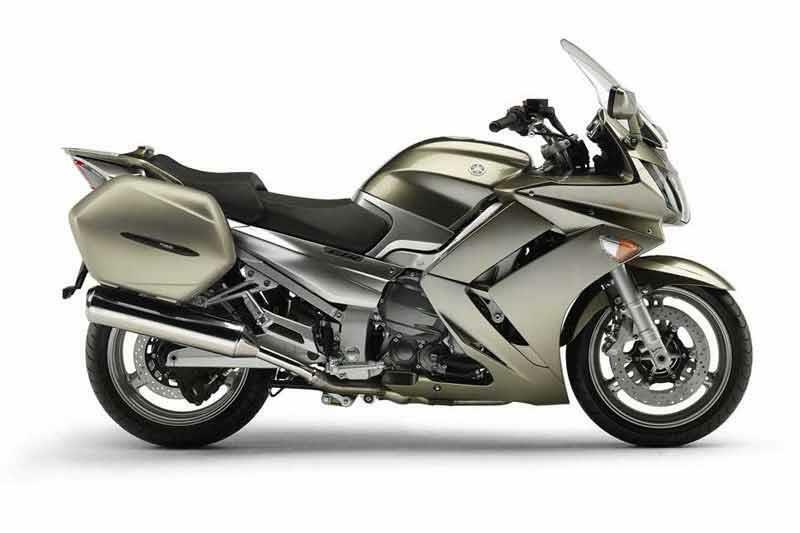 Also looks way better than those whales too, especially with the panniers off, it looks like a sports bike on steroids. Handlebars adjust but not really enough to make a difference. Also should really come with crash protectors as standard on a 12k bike! Overall the FJR is a really superb bike, doesn't feel unwieldy in the city, can blitz across the country in comfort and fun to throw into the bends along the way. It could do with a few minor improvements however: 1) The fuelling, easy to sort but costly. 2) Standard screen noisy at speed, get earplugs 3) tyre valves really tricky to access, could do with remote pressure monitoring 4) Have to remove panels to check brake and clutch fluid. 5) standard exhaust rather quiet, this is no hooligan bike. 6) Panniers are sturdy and good quality but awkward shape inside with limited capacity. yam topbox massive on the outside, tiny on the inside (only one helmet). 7) the plod use 'em, which steals cred. 8) shaftcase/swingarm doesn't look very trick next to BMW/kwak etc but easy to keep clean and no rubber to perish, i'm really nit-picking now. Well I have owned my bike a couple of months now and it just seems to get better. Averaging 50mpg and most of that at legal speed limits? No prblems to date apart from a low idle speed when first picked it up resulting in a couple of stalls and notchy gearchange. Turned up the idle speed to just over 1000rpm no further problems. Excellent finnish on paint and metal work. This is my 17th bike and so far the best. I have tried BMW 1200GT & S (FJR competitor) but the FJR seems a lot smoother and have better build quality. These bikes are often reffered to as uncomfortable over longer distances, I have had no such problem. Can easily do a tank range in the saddle, and still comfortable enough for more, what more could you ask for. The only down side is it is an inline four cylinder, but hey you can't have everything. Moved the the FJR from a Fazer 1000. Wife reports this is much better for pilions, and we have covered many more miles together as a result. Top box and panniers are easy to remove, and make a great difference to handling once removed. Downsides - Can be fiddly to fit extra's such as GPS and autocom, as electrical connections difficult to access, also the rear shock is not the greatest after 10,000 miles. Overall, it does exactly what it says on the tin, great for munching miles, but quick enough to still embarrass my mates on solo runs. I'm really happy with it. Best engine i have ever had, totally reliable and very good tank range. I have owned about 30 bikes in the last 5 years, and the FJR1300 rates up with the best of them. It is a superior all rounder when compared to the likes of the BMW1200GT (probably its closer competitor) because of the handling. There are also some doubts about the BMW build quality lately which I would verify after owning a 1200GS for a year. 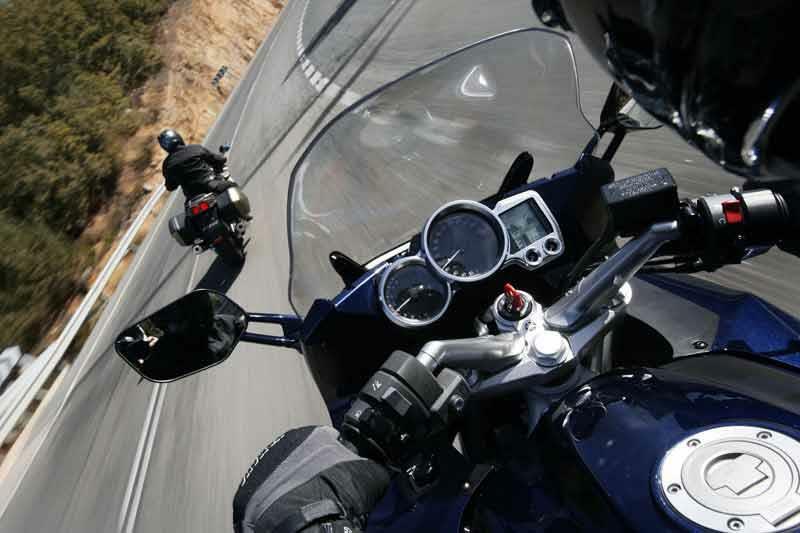 The FJR1300 ticks all the touring boxes, with exceptional kit as standard, hard luggage, heated grips, ABS, adjustable screen and adjustable suspension without any tools. I own the auto version because even though it has had mixed reviews i have found it to be exceptionally reliable and great in traffic as you arent constantly searching for neutral or getting clutch pump in the left hand. Build quality is very high, and there is nice attention to detail as well as very nice paint, especially if you are used to suzuki and their paper thin paint jobs. If you remove the panniers, put the screen down, set the suspension to firm, this bike will keep up with anything on the road and in the right hands surprise even the fireblade and R1 riders. Then you can return home, adjust it back and easily travel across europe in comfort. 12 grand well spent and a much better modern option than the bloated and somewhat shaky pan european. The 2006 gearing and finish is an excellent improvement. Massive torque and engine so smooth beats the rest easily. Strengths: Engine, finish, all round ability, fast cruising, comfortable, useful day to day, miles of fun, sports bike eater. Weaknesses: Expensive, rear suspension adjustment limited and GPS needed as standard on a bike this good. This bike is an absolute rocket. Handles the country lanes & the motorways with ease. A pleasure riding to work as well as two up at the weekend. 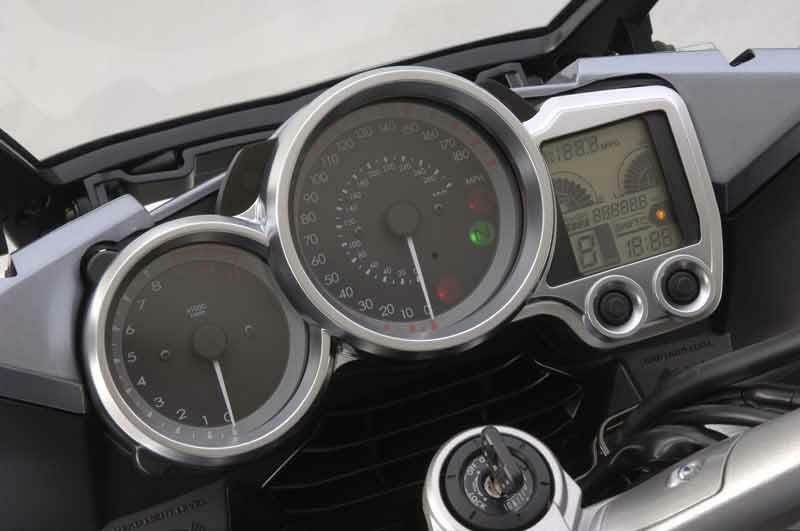 Interesting to hear how some riders have achieved higher top speeds than others & seems to be quite a difference between fuel economy with some getting a lot more miles per tank of fuel. I am getting around 180 miles per tank but know others who have 220+. Strengths: Stunning performance, very manoeuvrable & comfortable. Stunning looks with or without lugguage. Weaknesses: Too much heat transfer from engine onto legs. Not to sure about fuel consumption. The Fjr is wolf in sheep's clothing all dressed up with Tankbag, Panniers & Topbox(not recommended by Yamaha) most of the sports bikes (chippy bikes) riders think it's not worth there time and have a nasty surprise when they see how quick this monster is! So if you are look for a long distance bike with attitude that can take on sports bike while 2up and loaded the Fjr is the one! Strengths: Fuel economy and handling since the Fjr is quite heavy. Weaknesses: The rear Shock is no where near good enough, and a decent aftermarket unit (ie.Technoflex) makes a world of difference. Two weeks and nearly a thousand miles later, the good points just keep coming. Comfort and economy are strongest points. 300 mile hit to wales was a joy and pillions love it. Shaft drive is a revelation, maintenance free and no chain flick. A bike I should have bought sooner after my FJ1200.  everday viability with reasonable service intervals. Strengths: The engine and gearing, overtaking is effortless. Large tank and miserly thirst mean less fuel stops. Comfort for two up is fine though cramped with luggage on. Weaknesses: Heavy to push around a garage. Screen position can be fiddly to get just right. Luggage marks easily. Thought about buying one of these for a while and have not regretted the decision. Hard to find a late model,low milage,model but worth persevering.Find the bike handles well despite being no lightweight.Braking is good and acceleration pretty impressive.Luggage is good and big enough for modest tours.Worth considering upgrading the screen to the taller ,TUV approved, split screen.The standard screen causes some buffeting/wind noise. Seat is ok but a bit of a pain after 300+ miles but then perhaps many bikes would be? Just trying a corbin seat. Strengths: Overall handling is excellent. Good, smooth power delivery. A very balanced package. Weaknesses: Factory screen. If you're looking to ride this in cold conditions, look elsewhere if you favour electric clothing. Bike HP seems to derived from the lack of an electrical system to power auxillary accessories. Forget about a 110 watt headlamp or auxillary lighting that will drain the battery (stator cannot keep up). You'll need a BMW if you want a lot of electrical goodies - but that becomes a pricey issue itself. Strengths: Engine power output. Weight. Looks. Ergonomics. Price. Good dealer network. Weaknesses: Very weak electrical output for a touring bike. Cannot add too many accessories without taxing charging system. Heat issue. I bought this bike in March this year from KJM SUPERBIKES in Wigan. I am more than pleased with it. The only problem with it is the heat transfer from the engine onto your legs, great in Winter, murder on a hot day at slow speed. As for the speed, I have had 150mph on the clock with some left......Awesome bike!!! Srengths: Speed, Luggage space. Weaknesses: Heat from the engine on your legs.